If your child went missing wouldn’t you want the world to stop and look for them? A Child Rescue Alert is activated when a child is known to have been abducted or their life is believed to be at immediate risk. Every second counts and your support is vital. Thank you all for sharing a Child Rescue Alert from October. The missing girl has been found safe. Please register now to receive alerts straight to your phone when a child goes missing in your area and is thought to be at high risk. Visit the registration page of our website to sign up. Thank you for sharing yesterday's Child Rescue Alert for two girls who went missing from Croydon, London. We are pleased to confirm that both girls have now been found. If you haven't yet registered to receive local alerts yet, please sign up here. Thank you all for sharing last week's Child Rescue Alert for a 15 year old girl and her baby in London. We are pleased to confirm that she has been found. Don't forget to sign up to CRA to receive local alerts straight to your mobile phone. A huge thank you to all who shared today's Child Rescue Alert for a 16 year old girl missing from Wiltshire. We are pleased to inform you that the girl was found safe and well just a couple of hours after the alert was launched. Thank you for helping us reach over 10,000 people on Facebook. Register now to receive Child Rescue Alerts in your area straight to your phone. Thank you for sharing today's Child Rescue Alert. We are pleased to say that Michael has been found safe and well and the alert has now been withdrawn. If you have not yet registered to receive local alerts to your phone, sign up with your mobile here. Thank you for sharing today's Child Rescue Alert for two girls who went missing from Lambeth, London. If you haven't yet registered to receive local alerts to your phone, sign up with your mobile here. Thank you to everyone who shared the Child Rescue Alert for 15 year old Sadia who went missing from Smethwick. We can confirm that she has been found safe and well. If you are not registered to receive Child Rescue Alerts when a child goes missing in your area, you can register for free now with your email address or mobile phone number and postcode. 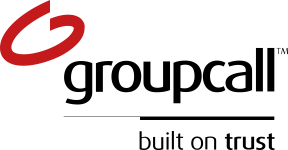 Click here to register for Child Rescue Alerts. Thank you to everyone who shared today's Child Rescue Alert for 17 year old Noel who went missing from Croydon. We can confirm that he has been found safe and well. Thank you for sharing Sunday's Child Rescue Alert for missing 12 year old Dre. We are pleased to say that he has now been found safe and well. Your online shares helped us reach over 50,000 people on social media. Did you know that you can receive these alerts straight to your phone? Sign up with your mobile number or email address. Thank you to everyone for sharing Thursday's Child Rescue Alert for the two 14 year old girls who went missing from Croydon and Southwark. We can confirm that both girls have now been found safe and well. Be a hero simply by signing up to receive alerts straight to your phone via text or email, so that you can share and help bring vulnerable missing children home. Register with your mobile number or email address here. Thank you all for sharing last week's Child Rescue Alert for the 15 year old girl who went missing from Hatfield. We can confirm that she has been found safe and well. We'd like to thank everybody who shared last night's Child Rescue Alert for a missing 18 month old boy. We are pleased to say that he has been found safe and well. Thank you to everybody who shared last week's Child Rescue Alert for Katrina. We are pleased to say that she has now been found safe and well. If you haven't signed up to receive future alerts to your phone, register here. Thank you for sharing today's Child Rescue Alert for Samuel. We are pleased to say that he was found safe and well shortly after the appeal was launched. If you are not registered to receive Child Rescue Alerts when a child goes missing in your area, then please make sure you sign up now. Click here to register with your email address or postcode and phone number. Thank you for sharing yesterday's Child Rescue Alert for a 16 year old boy who went missing from Hoddesdon. We are delighted to say that he was found safe and well just a few hours after the alert was issued. If you're not yet registered to receive Child Rescue Alerts when a child goes missing in your area, make sure you sign up now. We'd like to thank everbody who shared last night's Child Rescue Alert for a missing 15 year old girl. We are pleased to say that she has been found safe and well. Thanks to everyone who shared the Child Rescue Alert for Eliza, she has now been found safe and well. If you are not registered to receive the Child Rescue Alerts when a child goes missing in your area and they are thought to be at immediate risk of harm, you can register for free now with your email address or mobile phone number and your postcode. Click here to register. Thanks to everyone who shared the Child Rescue Alert for Carvel, a missing boy who has now been found safe and well. On Wednesday 14 March 2018, a Child Rescue Alert was issued for a 12 year old boy who was reported missing from Battersea. On the morning of 15 March, we were informed that he had been found safe and well and the alert was cancelled. Thank you to everyone who shared the alert. If you have not registered to receive free Child Rescue Alerts to your phone via email or text when a child goes missing in your area, you can click here to register now. Thanks to everyone who shared the Child Rescue Alert for Elliana, she has now been found safe and well. If you are not registered to receive Child Rescue Alerts when a child goes missing in your area and they are thought to be at immediate risk of harm, you can register for free now with your email address or mobile phone number and your postcode. Click here to register. Thank you to everyone for sharing today's Child Rescue Alert for Una-May. We are pleased to confirm that she was found safe and well very soon after the alert was issued and that the alert has now been closed. If you would like to register to receive Child Rescue Alerts when a child goes missing in your area, you can register for free now with your email address or mobile phone number and your postcode. Click here to register. On Tuesday 10th October 2017 a Child Rescue Alert was issued for a 14 year old girl who was reported missing in North Somerset. The Child Rescue Alert was cancelled later on the 10th after she was found safe and well. Thank you to everyone who shared the alert. On Friday 15th September 2017, a Child Rescue Alert was issued for a 14 year old girl who was reported missing in the Manchester area. A Child Rescue Alert was issued locally in three postcode areas in Manchester. In the early hours of 17th September, we were informed that she had been found safe and well and the alert was cancelled. If you have not registered to receive free Child Rescue Alerts to your phone via email or text when a child goes missing in your area and is thought to be at immediate risk of harm, you can click here to register now. Thank you to everyone for sharing the Child Rescue Alert for Aaliyah today. We can confirm that she was found safe and well shortly after the alert was issued and that the alert has now been closed. On 18th July 2017 a Child Rescue Alert was issued locally in the Blackburn area for two 12 year old girls who had been missing for around 48 hours. In the early hours of 19th July, Lancashire Police announced that the girls had fortunately been found safe and well. Thank you to everyone who shared this Child Rescue Alert. Due to the highly geographically-targeted nature of yesterday's Child Rescue Alert, it is unlikely that you will have received an alert notification unless the postcode you have registered with the Child Rescue Alert system is in the immediate Blackburn area. Child Rescue Alert is only as effective as the number of people registered. When a child goes missing it’s vital that as many people as possible are on the lookout, reporting sightings and helping to get them found safely as quickly as possible. All that is needed is for the public to register to receive the free alerts via email or text message. It’s a moment’s micro-volunteering that could save a child’s life. Staff at services management company NSL are being encouraged to register for Child Rescue Alerts with their phone number or email address. Many NSL staff are uniquely placed to really help when the crisis of a high-risk missing child, or even an abduction, occurs. By keeping an eye out in their area and reporting any sightings, they might be able to save a child’s life. Royal Mail has today launched a new postmark which will significantly bolster the drive to grow the number of people registered to receive Child Rescue Alerts. 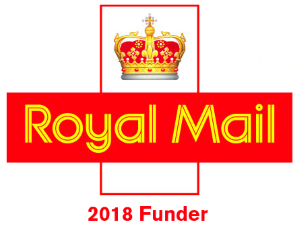 The postmark will appear on post for a week beginning today and is one of a number of ways in which Royal Mail, the 2016 funder of the system, is supporting the Child Rescue Alert campaign fortnight. Over 120,000 of the company's postmen and women are registered to receive Child Rescue Alerts on the rare occasion they are issued when a missing child's life is thought by the police to be in immediate danger. This means that many more eyes and ears are on the ground looking for a missing child when an alert is issued. Gary Grange, Community Investment Manager at Royal Mail said: "Royal Mail is dedicated to supporting the communities that we serve. We hope that this postmark will help highlight the campaign and encourage people to sign up to receive Child Rescue Alerts". 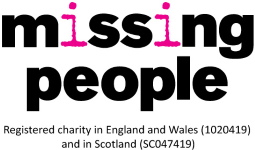 Stephen Fry is urging members of the public to help save the lives of high risk missing children as part of a two-week long national campaign launching today. People are asked to register for free Child Rescue Alerts, activated when a child has gone missing and police believe their life is in imminent danger. Fry appears in a short animation and major outdoor advertising campaign launched today, developed with pro bono support from true crime network Crime + Investigation® (CI) and outdoor ad serving platform OpenLoop. A comic-book version of Fry reminds members of the public that you don’t need to be a superhero to save the day; simply having eyes and ears on the ground after a child goes missing may help save their life. 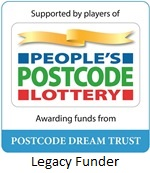 To register text HERO and your postcode to 85080. Registration costs a standard network text message rate. Obtain bill payer’s permission. Customer care 0208 392 4571. Once registered, it is then free to receive Child Rescue Alerts. Bob Geldof and Fiona Phillips today joined forces to raise awareness of Child Rescue Alert, the nationwide system designed to alert the public as quickly as possible to an abduction or a high risk child disappearance. “It’s a no-brainer,” said Bob Geldof co-founder of Groupcall, speaking at Bett 2016, the world’s leading event for learning technology. “If your child went missing and their life was in immediate danger you would want to get the message out in minutes. If you care about children’s safety please sign up today at childrescuealert.org.uk”.